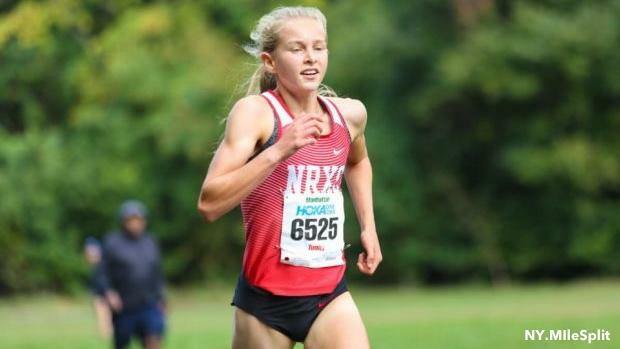 After an unstoppable cross country season that produced countless records and nonstop recognition, North Rockland (NY) High sophomore Katelyn Tuohy earned her own kind of history on Wednesday. The 5-foot-4 runner became the first underclassman to win Gatorade's National Girls Cross Country Runner of the Year in its 10-year history of recognizing cross country athletes. Gatorade's awards program has stretched the past 33 years, and this year became the first in its history to offer three finalists. Also nominated for the honor were Malibu (CA) High junior Claudia Lane and Glenbard West (IL) High sophomore Katelynne Hart. "It's evident that Katelyn is deserving of recognition as the nation's best high school girls cross country runner based on her numbers this season, in addition to the impact her accomplishments have had on North Rockland's success," Gatorade Senior Vice President and General Manager Brett O'Brien said. "But she is also a fantastic example to peers and aspiring young athletes of what a leader and a student-athlete should be. She represents everything we hope for in a Gatorade Player of the Year recipient." Former Bronxville (NY) High prodigy and current Nike athlete Mary Cain surprised Tuohy at Jack Rabbit Running Store in Montvale, New Jersey, presenting her with the honor. 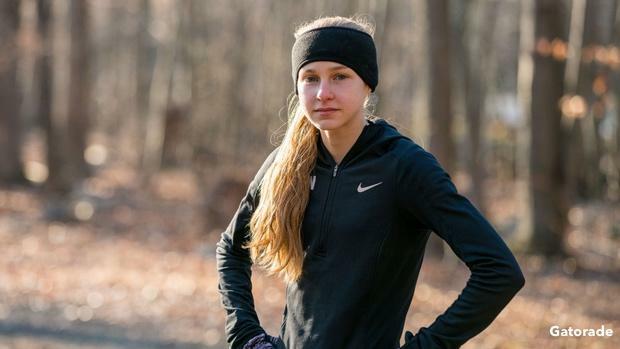 It was a long time coming for the 15-year-old Tuohy, who broke numerous records en route to her first national title at Nike Cross Nationals in December, winning on the Portland, Oregon, course in a record time of 16:44.7. She became the second New York athlete to win the coveted award, following in the footsteps of Aisling Cuffe, who earned Gatorade's top honor in 2010-2011. She was named Gatorade's state runner of the year in late January as well, joining elite company that includes recent winners such as Saratoga Springs junior Kelsey Chmiel and Corning graduate Jessica Lawson. Tuohy was lauded for her volunteer work on behalf of youth soccer and running programs and at the Rose Memorial Library in Stony Point. The sophomore maintains an A average in the classroom. Over a stretch of a few months this fall, Tuohy went undefeated and mastered cross country courses unlike anyone before her. Her dominance began at the Manhattan Invitational's Class C race in October when she produced an electric course record time of 13:21.80. Course records also fell at the NYSPHSAA Championships, New York Federation Championships and at the Grout Invitational.